The youngster shot a perfect final round and set a new Games record. 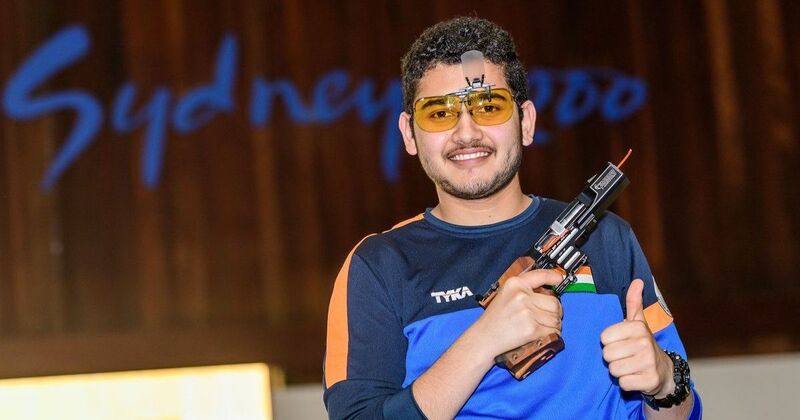 Indian shooter Anish Bhanwala, aged 15, created history on Friday in Gold Coast, Australia by becoming the country’s youngest ever gold medal winner at the Commonwealth Games. Anish achieved the feat when he stormed his way into the gold medal with a Games record in the men’s 25m rapid fire pistol event at the Belmont Shooting Centre. He shot down the CWG record in the final with a score of 30 including four series of 5 each. The youngest in the field, he showed nerves of steel and led the more experienced shooters through the event to emerge deserving champion. Australia’s Sergei Evglevski claimed the silver with 28, while the bronze medal went to Sam Gowin (17) of England. India’s other entrant in the event, Neeraj Kumar (13) was the second shooter to be eliminated in the finals after a shoot-off. By winning the gold, Anish bettered team-mate Manu Bhaker, who had become the youngest Indian Commonwealth Games gold medallist earlier this week when she emerged champion in the 10m air rifle finals. In the qualifications, Anish scored 580 to finish top of the tally while Neeraj was second best with 579. Anish’s gold was also India’s 16th of the kind at the Games in Gold Coast, surpassing their tally from Glasgow four years earlier.